There are motorbikes that are timeless. Classics from yesterday and today. The Honda CB1100EX is the perfect example of a classic motorbike designed in the 21st century, as a tribute to the legendary Honda CB750. It has the indispensable elements to be authentic: its unmistakable four-cylinder engine with front manifolds, air cooling, rear shock absorbers, classicism in the forms with the reliability and quality of modern motorcycles. In addition, there is the possibility of equipping it with travel equipment so that it can accompany you in your travel plans. 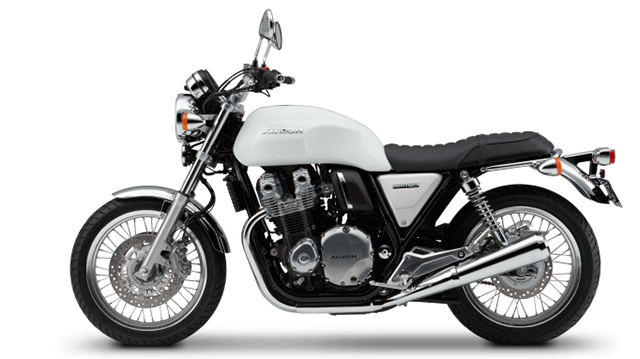 Rent the CB1100EX and enjoy the essence of motorbikes.